If I had to describe my online persona in one word, it would be lurker. One might get the impression from my sporadic facebook posts that I’m rarely online, busy planting trees and bettering mankind, but that’s unfortunately not true. I read every post! I know everything about you! I’m super stealthy/creepy. The same is true of my beloved food52. I haven’t posted a recipe there in months, but I’m all over that site. I visit it daily, and am constantly inspired by it. One of food52’s features, Halfway to Dinner, inspired this post. In that series, a talented recipe developer will share five or more recipes all using the same base ingredient (one loaf of bread, one bag of wheat berries, one tub of yogurt…). I love the frugality, creativity, and lack of waste in this type of menu planning and I wanted to try my hand at it. But I took the cheater’s path and cooked five of my favorite recipes from talented cooks instead of developing the recipes myself. And I loved it! One mammoth 5-pound head of organic cabbage fed us happily for a week, with enough variety to keep us interested. Cabbage is pretty swell. I love this dinner. For all its components, it’s really simple to put together, and tastes amazing and fresh. The cabbage salad was a revelation for me too. What a difference a little lime juice and salt makes to shredded cabbage! A couple notes: I have never made the chicken part of this recipe as written. Instead, I toss a little leftover roast chicken with some of the peanut sauce and put that on top (you could easily omit the chicken or sub crumbled firm tofu- I have). Also, the recipe calls for 3/4 pound of soba noodles, and all the packages in my grocery store are closer to 1/2 a pound. 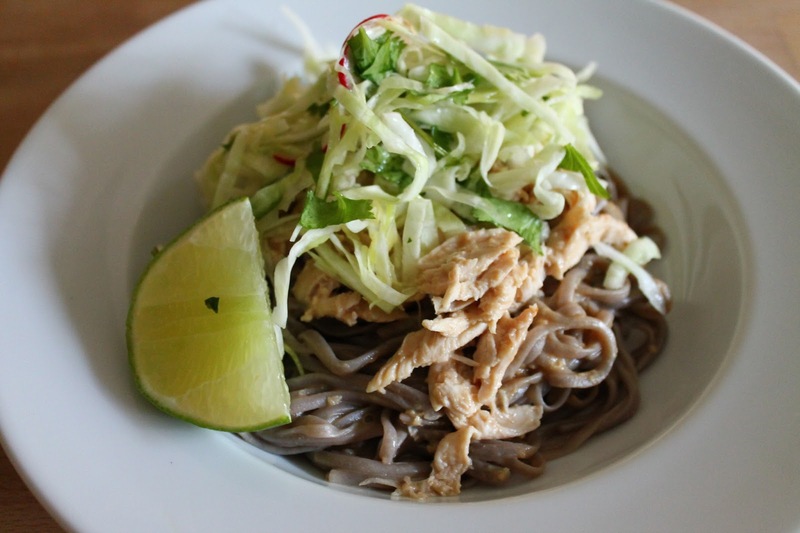 Get two packages and cook it all- you’ll have plenty of peanut sauce to dress the noodles and you’ll be happy for the leftovers. 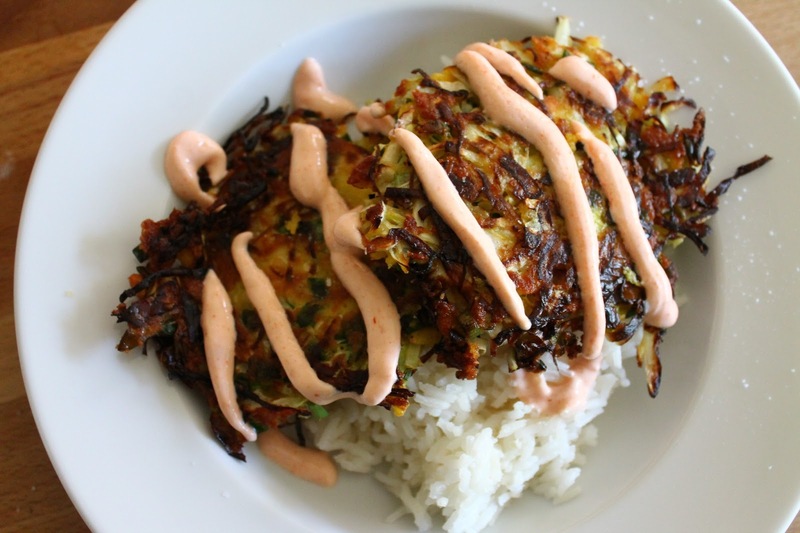 These cabbage and scallion pancakes are easy, delicious, and have only a few ingredients. They’re also wonderfully flexible- you can toss anything you’ve got into the mix (leftover meat bits, carrots, what-have-you) and they’ll still come out tasty. This beautiful slaw is a lovely way to eat your cabbage (and kale, and carrots, and another type of cabbage). The dressing is what really makes it great. It’s creamy and rich, but gets that way from tahini instead of dairy or mayo so it’s unabashedly healthy. It also keeps in the fridge (undressed) for days without showing any signs of fatigue. We ate it with roasted sausages (put them on a sheet pan in a 400 degree oven for 14 minutes and they’ll come out perfectly juicy) on baguettes with whole grain mustard. Have you had pupusas? My sister and I volunteered for Habitat for Humanity (for, ahem, one single day. woeful.) in LA, and my strongest memory from the experience is the taste of my first pupusa. They are the greatest! They’re just masa cakes stuffed with meat, cheese, or beans, but they taste like so much more. 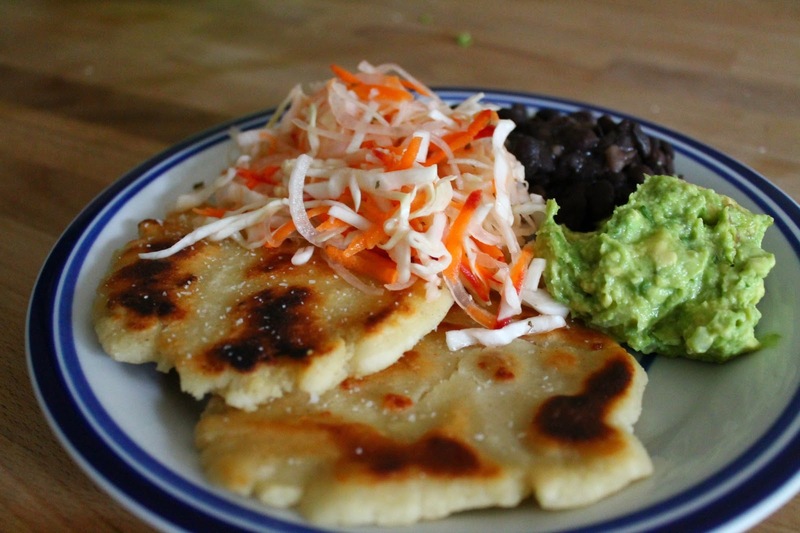 This recipe doesn’t quite capture the magic of real Salvadoran pupusas (i.e. from a work-site food truck in LA or an unassuming restaurant in north Austin), but they’re still delicious. 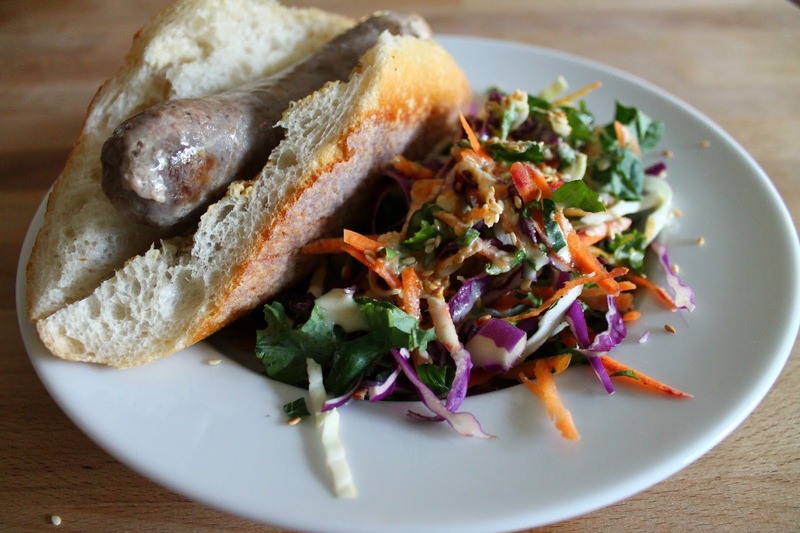 The curtido, a cabbage/carrot/onion slaw, is great and goes perfectly with them. It gets a bite from apple cider vinegar that cuts through the richness of the griddled pupusa. I am certain that I’ve mentioned this risotto on my blog before, but I love it so dearly I’m going to talk about it again. It starts with smothered cabbage, which is delicious and easy, and would be great on lots of things (sausages! 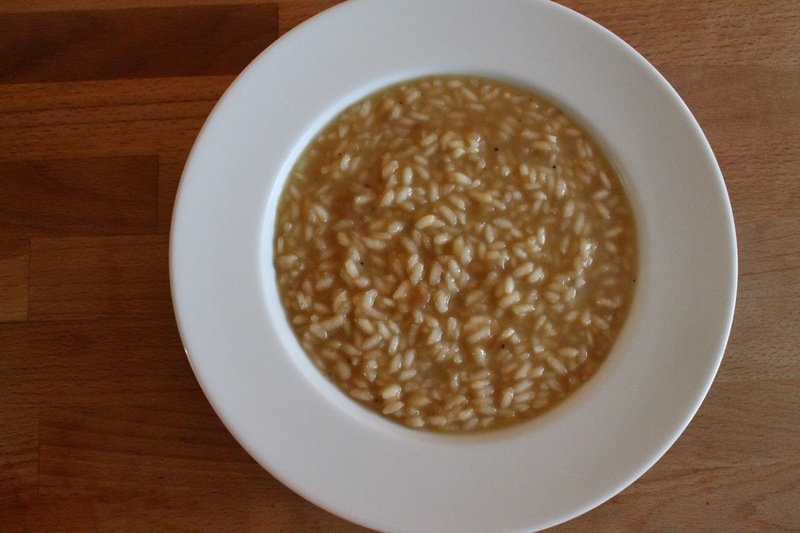 ), but which melts seamlessly into this silky risotto. I always cook the cabbage in the oven at 300 degrees for around 2 hours, stirring once or twice if I remember, instead of on the stove top. The risotto is simple too. And perfect for me because you don’t have to have wine on hand (I never do)- the recipe gets its subtle tang from a bit of red wine vinegar instead. I like mine to be closer to soup-y on the risotto spectrum. If you scoop a ladle-full out into a bowl, the risotto should slip gently to the edges of the bowl instead of remaining where you put it. So, yes! Cabbage! I really do love all of these dinners. 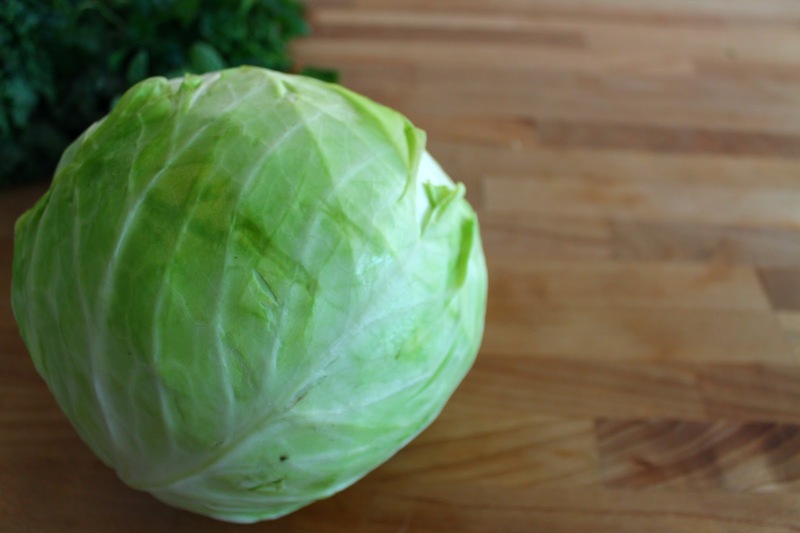 If the idea of a week of cabbage sounds pretty grim and Charlie Bucket-y to you, I hope you’ll consider picking up a wee head of green cabbage from the farmers market and trying just one of these recipes. I bet it’ll make you hungry for more. I love everything you created in this week of cabbagey deliciousness!!! !